True enough, beauty is in the details. Your bridal hairstyle and makeup may seem a small component of your wedding preparations but they actually play a great role. Because even if you are wearing the prettiest wedding gown, if your hair and makeup are poorly done, you will certainly be a laughingstock (and of course will not make a lovely wedding photo). Bridal hair and makeup (popularly abbreviated as HMU) will define your look from the prenuptial to the wedding reception; so never ever leave it to chance. Study your prospects’ portfolios and their wedding packages. Choose the bridal hair and makeup artist who you believe can reveal the most gorgeous you, and not turn you into an entirely different person. Some makeup artists do free trials during bridal fairs or on-the-spot makeovers so brides can immediately gauge their skills. And as with any other wedding supplier, choose someone you can be comfortable with, someone who gently advises and not dictates. It is, after all, your wedding day. Still clueless? Allow us to introduce you to some of Manila’s finest bridal hair and makeup artists. In choosing your bridal hair and makeup artist, there are a lot of things to consider…experience, skill, versatility, and of course affordable rate. At the heart of Quezon City lies a one-stop wedding studio that satisfies all the aforementioned requirements. HG Studio of Ms. Hazel Gonzales is committed to make their clients the “absolute center of attraction, a masterpiece to be enjoyed and remembered.” Ms. Gonzales’ international experience and continuous training has developed her skills and talents and has widened her knowledge of the industry. This is why Ms. Gonzales has earned her name, not just in the wedding industry, but even in runways, avant-garde fashion, and high-brow occasions. Moreover, this perfectionist has spent time mastering the new technology of airbrush makeup since she wants nothing but to create a long-lasting look of sophistication among her brides. Complementing its existing services, HG Studio also offers wedding accessories, hair extension services, and even wedding pictorials. And to make the studio’s service accessible to everybody, Ms. Gonzales created the Makeup Team, a group of three trained artists available for couples on a tight wedding budget. Apart from training and experience, personal taste also matters. After all, a makeup artist should know which shades of cosmetic products go well together. Otherwise, the bride may end up looking awkward. You’ll never have any problem with Norwellyn Pahanel, though. She has an impeccable taste when it comes to makeup. Joining the list of these amazing makeup artists is Ms. A. K. Fernandez of House of Zeal Hair and Makeup Specialists. She is a nurse by profession but her passion for makeup artistry also could not wait. That’s why she decided to pursue this and started taking up professional classes on hair and makeup in Dubai and here in the Philippines. 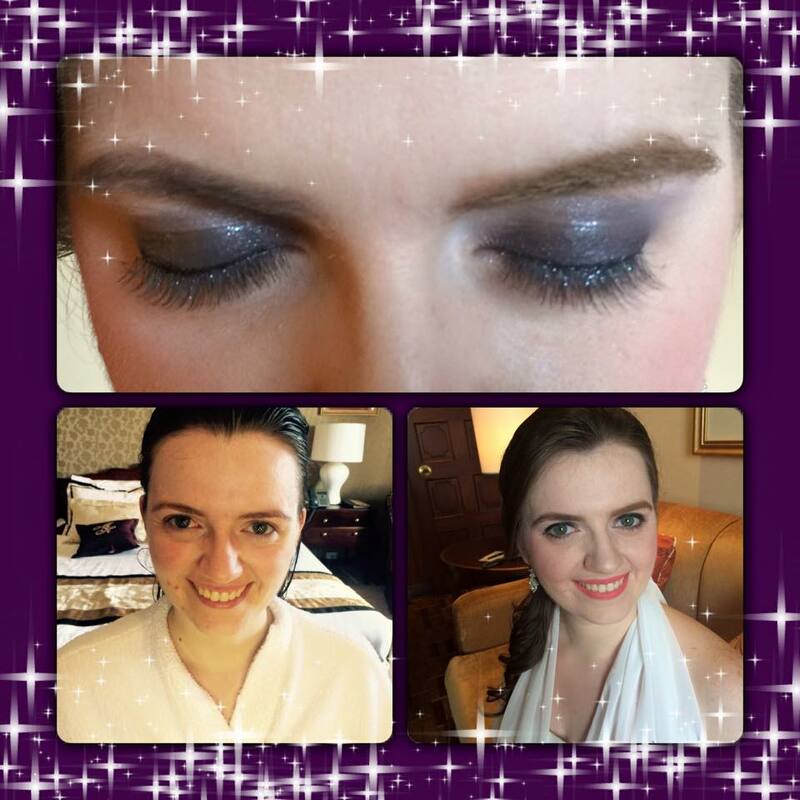 Now, she is already known as a reliable provider of makeup services among brides. She brings out the best in every bride by making them look fresh and radiant. Metro Manila also prides itself for housing Ms. Lindsay Lin of Lindsay MakeUp Artistry. She is very ubiquitous and always willing to help those women who have issues with the way they look and the way they carry themselves. There is nothing to worry about when she is present on your big events, her hands has the power to make you look like a real goddess. CJ Jimenez is another gem in the wedding industry, most especially when it comes to bridal makeup. Apart from being a professional freelance makeup artist, she is an international accredited and certified image consultant. She us a member of the Association of Image Consultants International-Philippine Chapter and an associate trainer for the Southeast Asia Speakers and Trainers Bureau Inc. under the mentorship of Dina H. Loomis and Dino Santos of the Toastmasters International. She is also a member of the United Make Up Artists of the Philippines (UMAP). Remember, the food you will serve will be eaten in an hour. But your wedding pictures will last forever. So do not take small details for granted. You should also spend time in searching for the right artist that could make you a beauty for a lifetime.